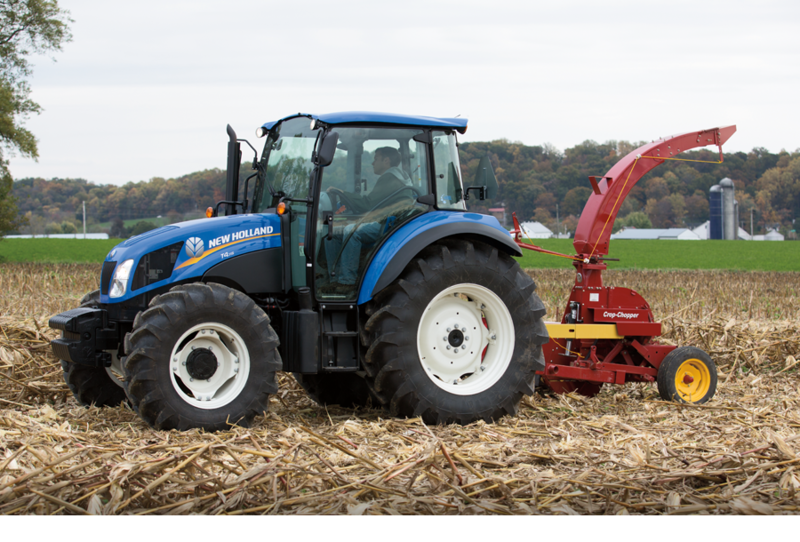 Dampness and morning dew won't slow down chopping when you own a New Holland Model 38 Crop-Chopper®. Curved cutterhead paddles give added lift, so crop gets into the wagon even when it's moist. Blower paddles are adjustable to maintain paddle-to-band clearance for positive blowing action and reduced band wear. Heavy-duty rotor bearings, protected by special seals and lubricants, keep out moisture, dirt and debris; and the rotor housing opens when you discharge materials on the ground - a useful feature when shredding and spreading cornstalks, mowing weeds or clearing bush and stubble. The cutterhead has individually-adjustable knives that rechop the crop after it passes through the rotor flails. The cutterhead can also be equipped with your choice of two, three or six knives. Rotor knives feature a staggered pattern to ensure an even & uniform crop flow. Micrometer-type knife holders make it easy to adjust the knives with the shear plate, so there is no need to loosen knife bolts. The Model 38 is ideal for the farmer or rancher who cuts a variety of crops. Most often, it's used to chop standing grass crops for daily green feeding. But it also works well when making bedding from cornstalks or straw, or shredding and spreading cornstalks for mulching. It mows weeds, clears small brush and stubble, and tops potatoes and beets. It even clips pastures and waterways, chops flax and cleans up rice stubble. 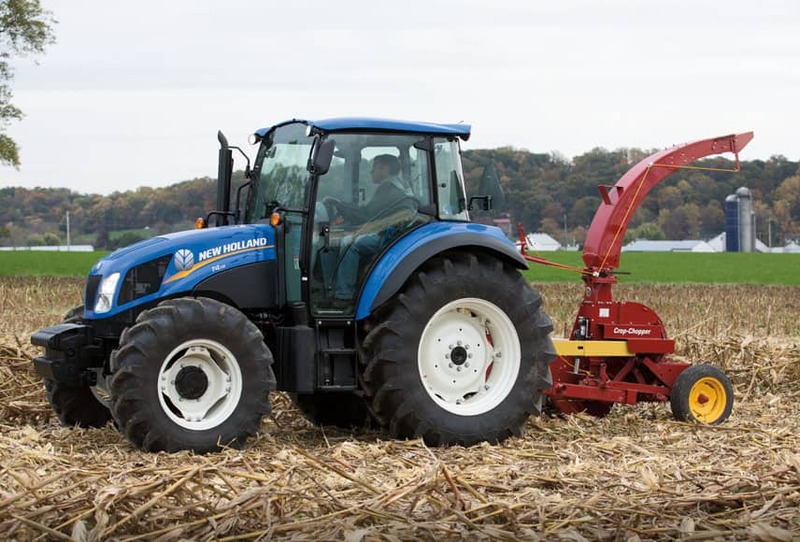 When you need a multi-purpose machine that lives up to its name, look no further than a New Holland Crop Chopper®. Four-foot horizontal and fifteeninch vertical spout extensions - let you tailor the spout to your crop conditions. Manual spout control - directs materials into trailing wagons. Hydraulic lift brackets -let you add a cylinder to control cutting height from the tractor seat. Tongue - adjusts to four operating positions and two transport positions with rope-controlled shifter pin. Remote-controlled automatic wagon hitch - lets you unhook a trailing wagon from the tractor seat. Stone guard - reduces the chance of objects being picked up and thrown forward toward operator. Heavy-duty screw-type jack - takes the hard work out of hookup. The jack swings back and locks firmly in place on the tongue. Optional short flails - let you adapt the chopper for row-crop work.